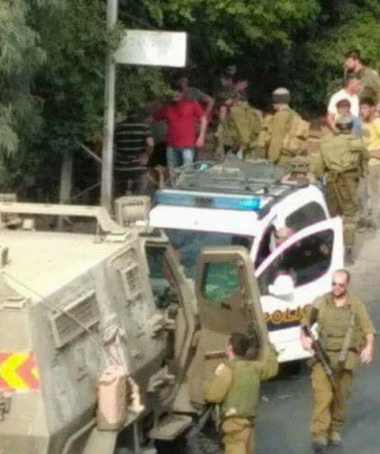 Palestinian medical sources have reported, on Tuesday evening, that a young man was seriously injured, near Qalqilia, in the northern part of the occupied West Bank, after an excessively speeding Israeli setter’s car rammed him, and fled the scene. Eyewitnesses said the Palestinian, As’ad Arfan, was walking in the center of Nabi Elias village, east of Qalqilia, when he was struck by the speeding Israeli car. They added that Red Crescent medics rushed to the scene, and provided the Arfan with the urgently needed first aid, before moving him to a hospital in Qalqilia. In related news, Israeli soldiers invaded the eastern part of Azzoun town, east of Qalqilia, and launched a surveillance balloon, before the soldiers took aerial and ground photos of the Palestinian homes in that area.